My next door neighbor Prabhavathi Rajan whom I fondly call 'Prabha Chaechi' (which means Prabha sister) has been suffering from Rheumatoid arthritis for more than a decade. She needs help even for her basic needs. Her husband Rajan is a diabetic and his leg was amputated few years back. Rajan's toe was again amputated two months back and it is still not healed due to the infection. Prabhavathi and Rajan have a son who completed his 12th grade. 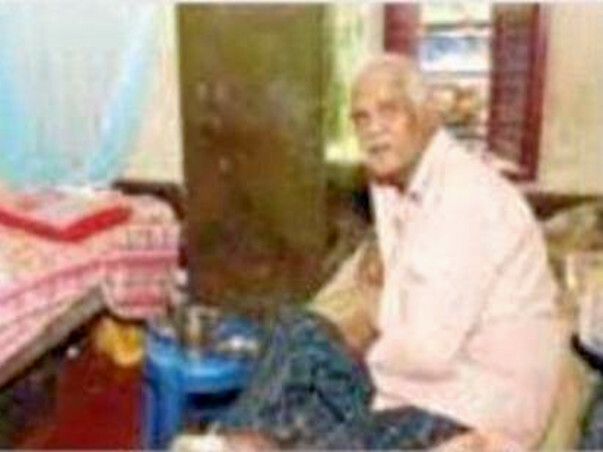 But not able to pursue his studies any further or go for work, since he needs to take care of his ailing mother and father. The financial condition of the family is very pathetic and they don't have a means of income. It's with the help of good samaritans in our neighborhood that the family survived so far even for their basic needs. Prabhavathi used to run a small tea and snack stall that is attached to her almost collapsing house with the help of two women, whenever she felt a little relieved from her illness. That was the only means for their livelihood. She lives in a house along with her husband and her son with just one small bedroom, a bathroom and a kitchen. 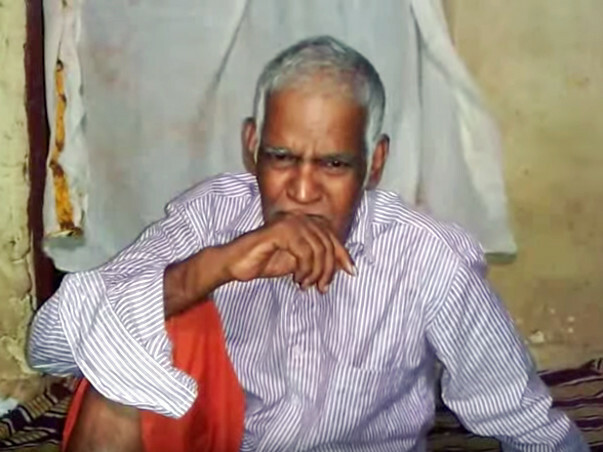 For Prabhavathi, rheumatoid arthritis pain increases during the monsoon and winter. She just cannot control her tears due to the severe pain. Whenever I visited her, she clinged on to my hands and asked me to pray for her. Prabhavathi knows that I'm a god-fearing person and that I go to church for mass regularly. Prabhavathi is undergoing ayurvedic treatment and it's come to a point where the family can't move forward in life financially due to the costly treatment. 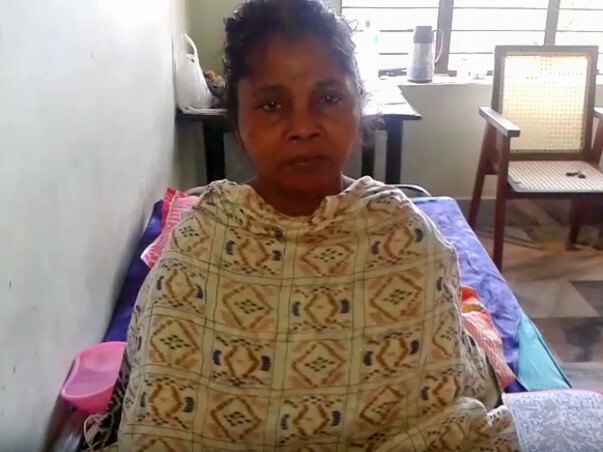 She underwent allopathy and homeopathy treatments with no relief. So she switched over to ayurvedic and this is the only treatment that gives her some relief. 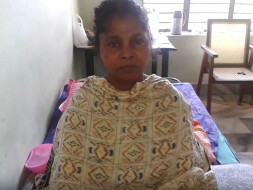 She is now admitted to a government ayurvedic hospital in Kochi for further treatment. I request all good samaritans to support Prabhavathi and her family. I have added more photos and videos of Prabhavathi Rajan. I called Prabhavathi few days back, even today November 9th, 2016 and enquired how she is. Prabhavathi told me she feels slightly better but she is still in hospital. Not sure how long she would have to stay in the hospital until she is completely cured or her symptoms would worsen. 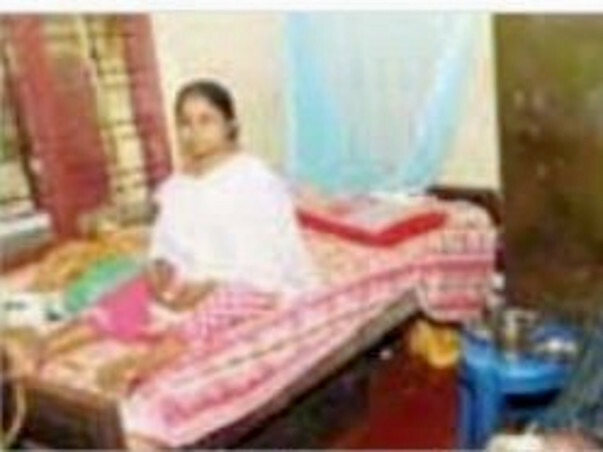 She was first admitted to a general ward in the ayurvedic hospital but could not start any treatment until they shifted her to a room. The room rent for a week cost Rs. 2500 plus other expenses. She also told me the expense for medicines only so far for a month has come around Rs.42000/- Prabhavathi does not buy the medicines together as she cannot afford it. She buys few medicines at a time. I have suggested her to get a letter from her doctor the day Prabhavathi was admitted, the hospital room rent receipt and if possible the bill for medicines. So I can upload it over here in this campaign. As there is no one to look after her husband at home, there is a slight infection on his amputated toe with his blood sugar fluctuating.